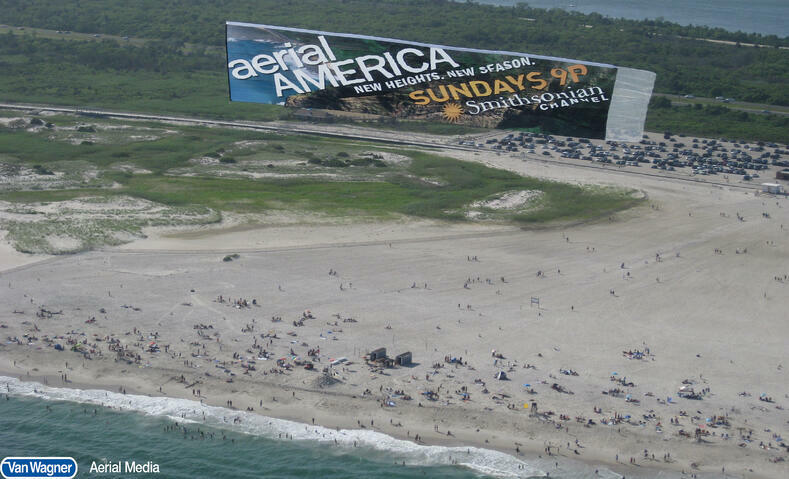 Van Wagner Aerial Media has been providing premier aerial advertising solutions to New York, Long Island, Fire Island, Coney Island, New Jersey and the surrounding areas for over six decades. 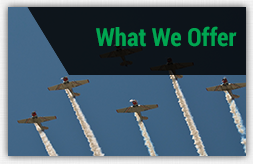 In fact, we are the only truly national aerial advertising company with planes stationed throughout the New York region and across the rest of the country. Housing over 40% of New York's population, Long Island is the most populated island in any U.S. state or territory, and is the most populous island in the world. Due to its dense population, desirable sandy white beaches, and countless attractions, Long Island makes a prime destination for an aerial advertising campaign. Our pilots are well-versed in the Long Island landscape and know exactly which areas and events to fly to reach your target audience with impact. 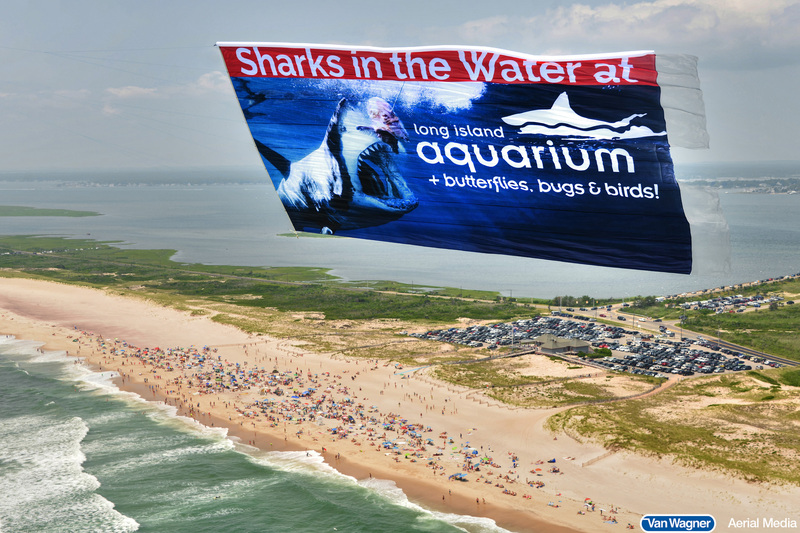 Our banner towing planes frequent Long Island's most popular beaches, sporting events, music festivals, and other places where people choose to gather outdoors. The sizes and quality of our aerial banners far surpass that of the competition. We fly the largest, most-vibrant and best-looking aerial billboards in the industry. Not only do our banners look good, we also offer proprietary technology that allows our planes to fly at slower speeds, tilting your banner towards the ground for optimal legibility. We also offer all of our clients GPS Proof-Of-Performance reports after each flight, showing you exactly where your banner flew. Not sure which areas to fly to reach your target audience? Upon partnering with Van Wagner Aerial Media, you will be assigned an aerial coordinator. This individual is an expert in the art of aerial marketing and can help answer all of your questions from operational logistics to tips on banner creative. At VWAM, our first priority is always safety. Our second and third priorities are quality and client satisfaction. We aren't your mom and pop vendor at the beach, our entire operation is backed by the hundreds of employees at Van Wagner Group LLC. 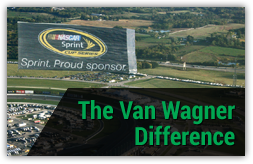 Our dedication to delivering a premier product and ensuring client happiness are just part of the components that make up The Van Wagner Difference of doing business. 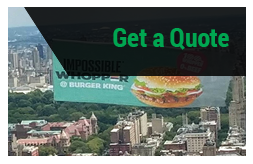 If you have questions about the cost of an aerial banner or sky writing campaign in Long Island or any other inquiries, please don’t hesitate to contact us today. 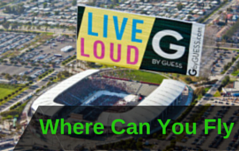 Just click below for your free aerial advertising quote!